Africa: Deputy Chairperson of the African Union Commission Kicks Off Official Visit to Cuba - Pays Respect to the Late Fidel Castro. The Deputy Chairperson of the African Union Commission, Amb. 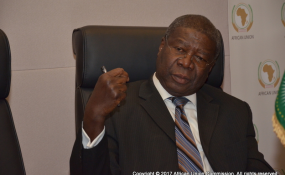 Kwesi Quartey is in Havana, Cuba for a four day official visit. On arrival, the Deputy Chairperson visited Fidel Castro's mausoleum in Santiago de Cuba city, for a wreath laying and remembrance ceremony, to pay respects to the legendary revolutionary leader. He also signed the condolences book. Amb. Kwesi hailed Castro's support to Africa during the liberation movements in the continent reiterating the deep-seated historical ties between the African Union and Cuba. In the formative years of Africa's liberation, Castro met Africa's celebrated leaders such as Ghana's Kwame Nkrumah, Nelson Mandela of South Africa, Patrice Lumumba of Congo, Robert Mugabe of Zimbabwe, Sam Nujoma of Namibia and Muammar Gaddafi of Libya. "Castro's legacy will be cherished in our hearts for generations to come following the solidarity and generosity he extended to Africa during the anti-colonial struggles and post-colonial era," he stated. Cuba reliably supported the liberation struggles in countries such as Angola, South Africa and Ethiopia and has continued to offer Cuban troops to serve in several African states. Further, the Deputy Chairperson, while expressing gratitude to Cuba for the existing cooperation and assistance in several African states, particularly in the education and health sectors, highlighted Cuba as an enviable model to follow in terms of investments in the people. "Cuba is an inspiration to Africa and has demonstrated the significance of harnessing the dividend of the people through investments, moreso, in education. Having a numerate and literate people is the underlying baseline for the socio-economic development of our nations", Amb. Kwesi added. He commended the government of Cuba for contributing to the transfer of knowledge and expertise through the expanded exchange programs and increased scholarships opportunities in many African nations. Amb. Kwesi later visited the University of Santiago de Cuba where he had exchanges with the medical students and emphasized on the potential of education to shape the transformational vision of the world. He also encouraged the students on the need to promote the value of people-to-people exchanges to build bridges and harness the diversity of our rich cultures. During his visit, the Deputy Chairperson will meet senior Cuban government officials to discuss matters of mutual interest and will also deliver the keynote address at the 17th International Conference which focuses on African and Afro-American Culture. Copyright © 2018 African Union. All rights reserved. Distributed by AllAfrica Global Media (allAfrica.com). To contact the copyright holder directly for corrections — or for permission to republish or make other authorized use of this material, click here.